While whelks and jellied eels are disappearing from the East End, fish and chips are more popular than ever. Rachel Walker heads to Brick Lane to meet Pat “Pop” Newland, who got his first job in a chippie aged 11, to understand why the industry is still thriving. It’s a drizzly Tuesday in London’s East End as I wander down Brick Lane, past tourists queuing at the (old) bagel shops and the (new) Subway sandwich outlet. Half way down, where vintage boutiques merge into Bangla curry houses, I veer right on to Hanbury Street. 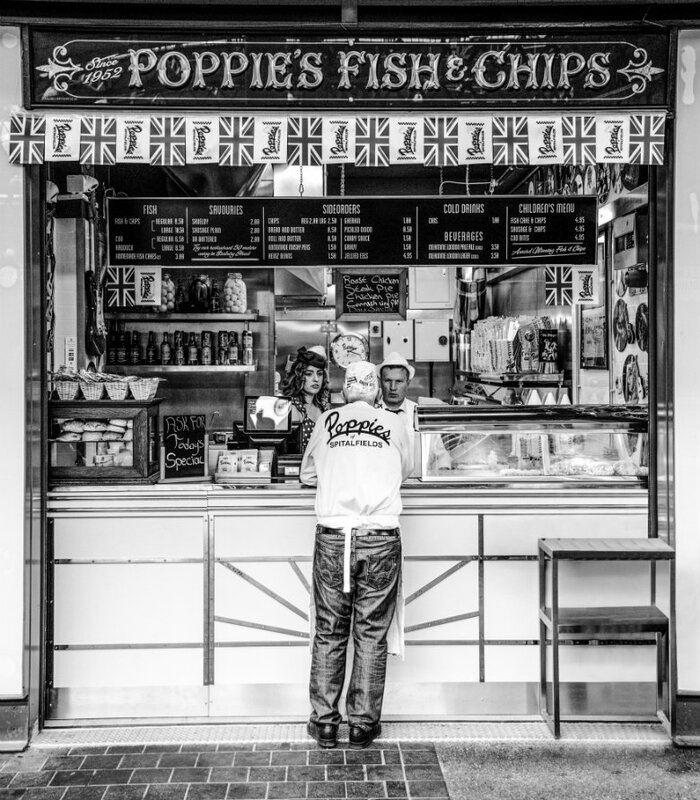 Here, in between the global advertising agency Wieden + Kennedy and old boozer the Golden Heart, sits Poppie’s, its cheerful blue canopy jutting over the pavement and its double doors flung wide open, wafting the mouth-watering aroma of fish and chips out into the street. 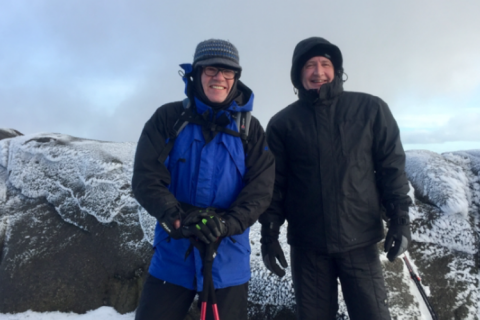 “Sure, the area’s changing,” smiles Pat Newland – “Pop” of Poppie’s himself – sitting across the Formica table from me, his old fryer’s hands wrapped round a mug of tea. “But it’s been changing as long as I’ve known it,” he says with a twinkle in his eye. The East End that Pop grew up had soldiers in the streets, and he spent afternoons rummaging through bombsites. Fish was a big part of the local diet then. But the once-heaving eel and mash shops are often empty now, and it was more than 30 years ago that Billingsgate Market upped and moved five miles further east. In the six years that I’ve lived round here, only one person has tried to sell me cockles in a pub (from a bag in his poacher’s pocket). 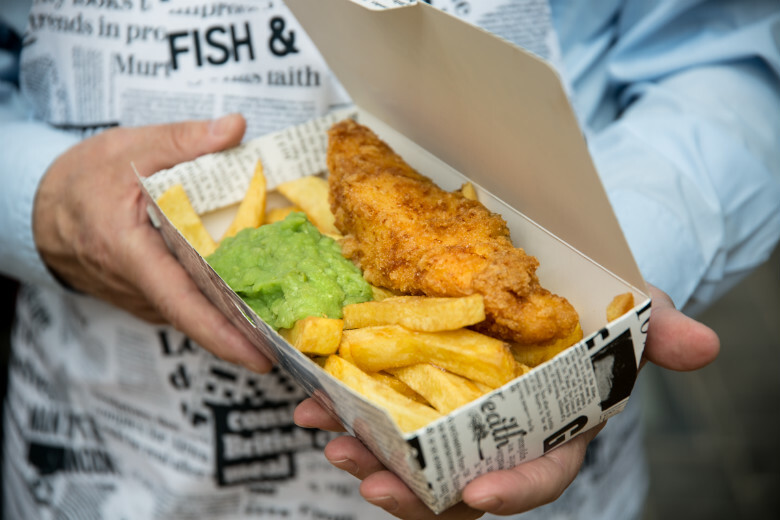 Yet fish and chips is an enduring East End classic that’s proving to be more popular than ever. My chat with Pop sheds light on why fish and chips has not only survived, but is thriving. First, the plate in front of me is a thing of beauty. Chippies nationwide have joined Britain’s food renaissance. Forget a soggy apology of a meal. The batter is crispy and pocked; the fish inside, exposed with a puff of steam, is moist and flaky. The chips are chunky and the well-seasoned mushy peas look like they actually started life in a pod, rather than a tin. 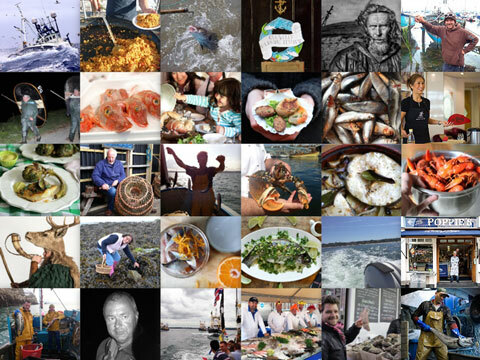 Though cod and plaice remain the most popular dishes here, the traditional menu has diversified: homemade fishcakes, whole lemon sole and mackerel fillets. 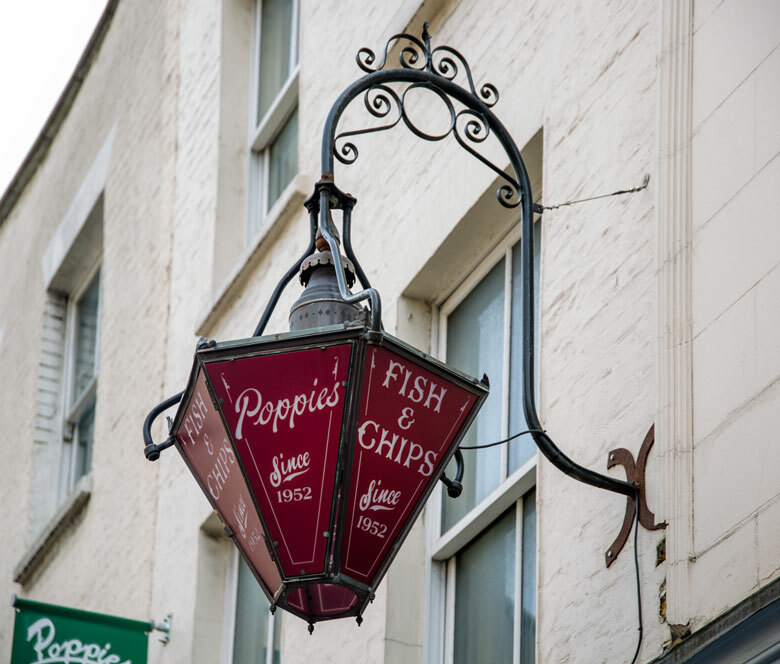 Such healthy additions to the menu explain why Poppie’s has just been named one of Britain’s top three Healthiest Fish and Chip Shops in the National Fish & Chip Awards. The way Pop talks has evolved too. His sentences are still peppered with East End vernacular, but buzzwords like “sustainability” and “provenance” spring just as quickly to his lips, and are at the heart of the modern day fish and chip shop. Such language would have seemed foreign to Pop when he first entered the industry, more than half a century ago. “We were a very poor family,” he says, explaining how he got his first job as a young boy, pulling the barrows into place at the local market. “Phil from the fish and chip shop on Roman Road took pity on me,” he remembers. Pop started working there aged 11, cutting up copies of the Daily Mirror to wrap the fish in. 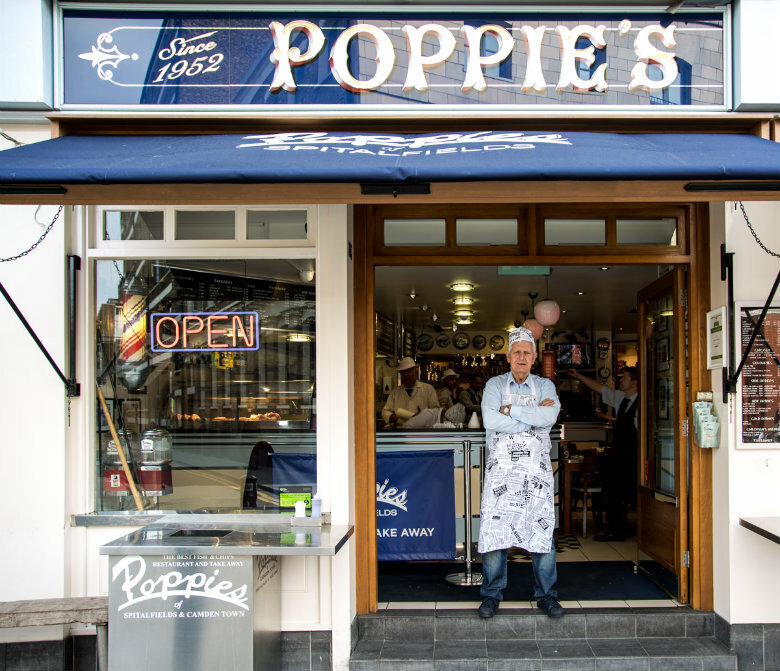 (Poppie’s takeaways today take inspiration from those early days, their wrappers and boxes decorated with a mock-newspaper print.) But he was soon taught how to cook the fish, and was promoted from paper-cutter to fryer. When a friend who ran a chippie suddenly passed away, Pop stepped in to take it over, keeping its original name, “Ted’s”, as a tribute. But he always dreamed of setting up something of his own. “I always said to my son, ‘if I could get a decent site, I’d show you what I could do’.” But it wasn’t until 2010 that he got his chance. Pop came across what he describes as “a dirty café on Hanbury Street, near Spitalfields” that he discovered was going on the market. The local giant Truman Brewery had already registered an interest, but that wasn’t going to deter Pop. “I gave them a ring and said, ‘I think you should let me have it because, well, because I feel right here.” His East End charm paid off, and so the first outpost of Poppie’s was born. 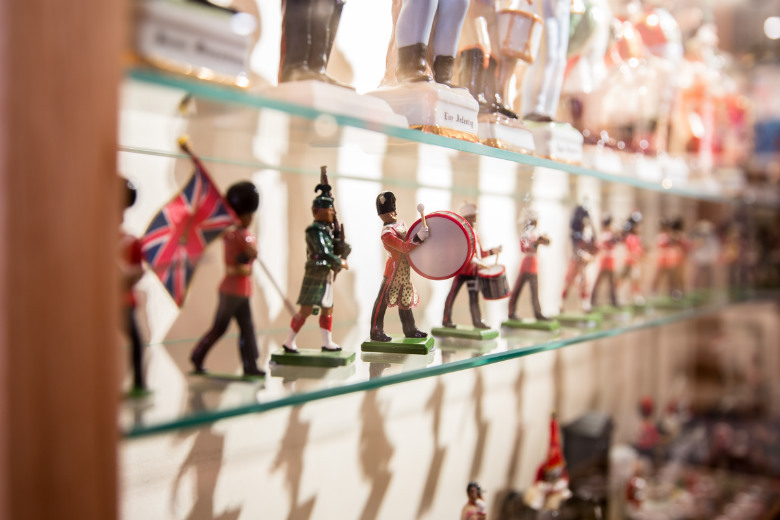 The minute you step through the door, Pop’s pride in his East End heritage is apparent. The walls are a collage of framed sepia photographs and cuttings. A Beefeater outfit hangs alongside a life belt. “We call it a Dunkirk doughnut,” says Pop, explaining that it’s a tribute to his Uncle Bob’s participation in the WWII evacuation. Pop, who hasn’t taken a day off in 40 years, potters around the restaurant, the consummate host, entertaining in what really is an extension of his front room. “My mum sang like Gracie Fields,” I hear him tell one table, pointing to a black and white photo on the wall. “The Krays were just misunderstood,” he explains to another. A team of waitresses weave in between the tables to the backdrop of jive music intermingled with music hall standards: called the Popettes, they’re dressed diner-style in 1950s outfits, with sailor collars and pillerbox hats. But don’t think for a moment that Poppie’s is about style over substance. 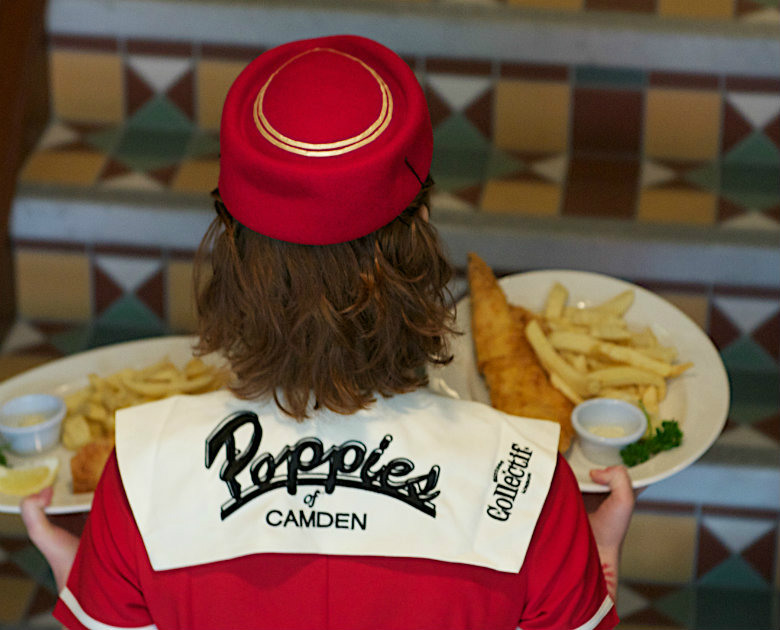 “Freshness and quality, that’s what makes good fish and chips,” says Pop. 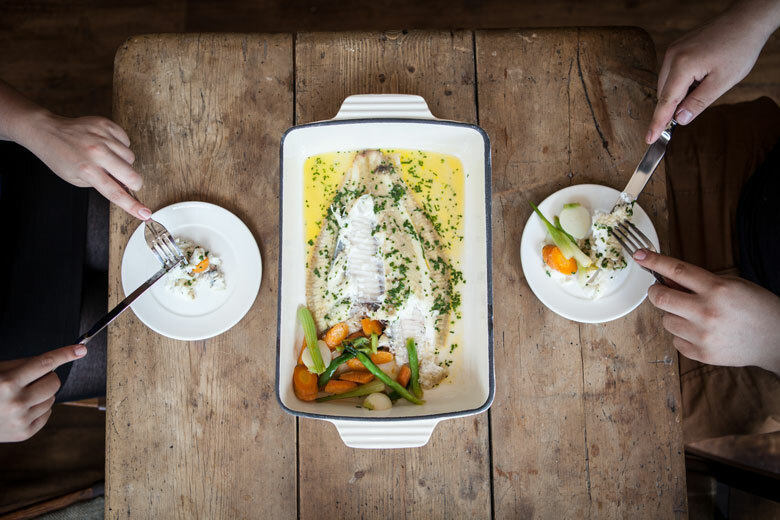 For the freshness, he relies on old friend, Joe Bush: he’s the third generation manager at T Bush, a Billingsgate fishmongers that started out as a smoked fish company operating from a doorstep in nearby Stepney. It’s such attention to detail that has seen Poppie’s popularity rocket, resulting in rapid expansion. Pop opened a second branch in Camden, and soon followed with two kiosks at nearby Spitalfields Market and Camden Market. “It’s like my Dad used to say: ‘the only time you’ll get a revolution in England is if you shut the fish and chip shop or the pub’.” Pop grins, as he holds the door open for me on my way out. With people like Pop at the helm, revolution seems like a very, very long way off. 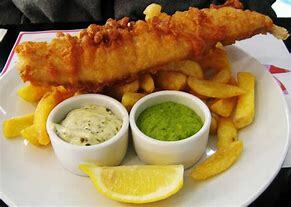 For more information, visit: poppiesfishandchips.co.uk. 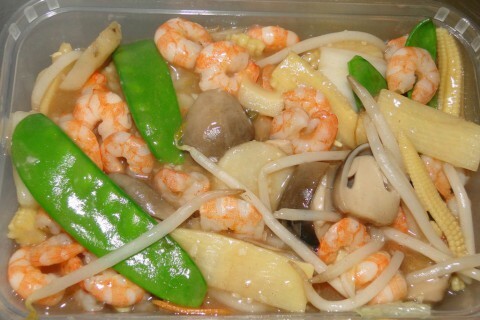 Cost of a take-away: How much do you think the UK population spend?